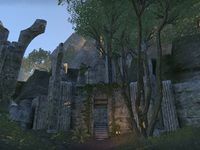 The underground city built by the Rulanyil clan after they were driven from Cyrodiil is one of the most impressive Ayleid ruins in all Valenwood. 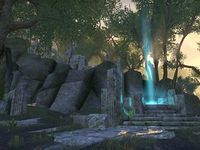 Scholars believe the Rulanyil originally came from Vilverin, an Ayleid site on the shores of Lake Rumare. Rulanyil's Fall is an Ayleid ruin in central Greenshade, northeast of the city of Woodhearth. It is one of the most extensive and impressive Ayleid ruins in Valenwood. The builders of the city settled here after being driven out of Cyrodiil by Alessia's slave rebellion. They are said to have come from Vilverin on the shores of Lake Rumare. 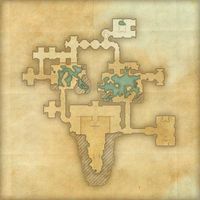 More recently, the Merethic Society has set up a museum of antiquities inside the ruins, but is having trouble with the Worm Cult invading the ruins and attempting to raise an Ayleid warlord entombed within from the dead. Rulanyil's Fall Objective: Explore the ruins of Rulanyil's Fall. Rulanyil's Fall Group Event 50 Defeat the undead hordes of Hergor the Fallen at Rulanyil's Fall. Rulanyil's Fall Vanquisher 10 Defeat three of the champions in Rulanyil's Fall. Rulanyil's Fall Conqueror 50 Defeat all of the champions in Rulanyil's Fall.